If you're looking for the 2 Crafty Critter Crazies DT card, scroll down one post. It's a busy First Friday of the Month and I'll have a total of 4 posts! This is my DT card for the challenge at Emerald City Crafts. 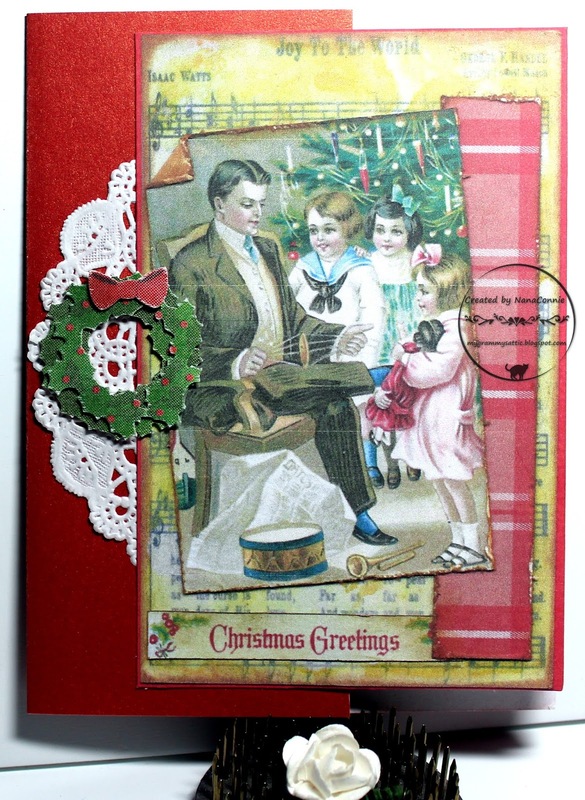 The wonderful vintage image is ephemera from Linda Simpson Designs and came from the Joyeux Noel set. Although the image is from a time much earlier, it makes me think of childhood Christmas days at my Grammy's house. but I based it on the sketch at Sweet Sketch Weds. The sentiment, the image, the red striped paper and the sheet of music are actually all part of the image. I cut that and matted it with red CS. I used more red CS on the card front, but cut it lengthwise so that it was only 2.5 inches wide on an A2 card front. I added a lace doily, then layered on the image piece. For embellishment, I added the double layer, distressed wreath at the edge of the image. Come play with us at Emerald City Crafts this month. Our theme is always Anything Goes and you can use any image from any company. The challenge runs for 3 weeks, ending at the 3rd Friday, and that gives the DT a week to vote on winners and Top 3, which are announced when the next challenge starts on the first Friday of the following month. Fabulous Festive card Connie, I love how you have used the ephemera! Love that vintage image! The doily is the perfect addition on your pretty card! Love the vintage feel, great work! Thank you for joining us at Sweet Sketch Wednesday 2! Lovely card. 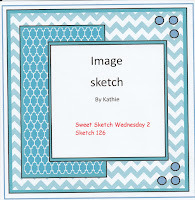 Thank you for joining the challenge at Sweet Sketch Wednesday and Creative Fingers. Hope to see you again next time.